Click event titles for in-depth descriptions of services. 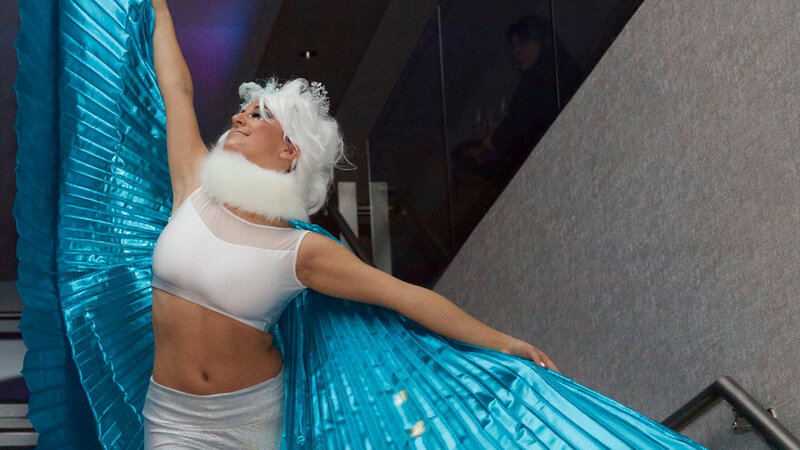 Interactive stilt walkers and performers greeted guests to an advertising agency's winter wonderland-themed holiday party. The performers performed atmospheric choreography throughout the space and engaged with guests in addition to performances by a contortionist and hula hoop artist. 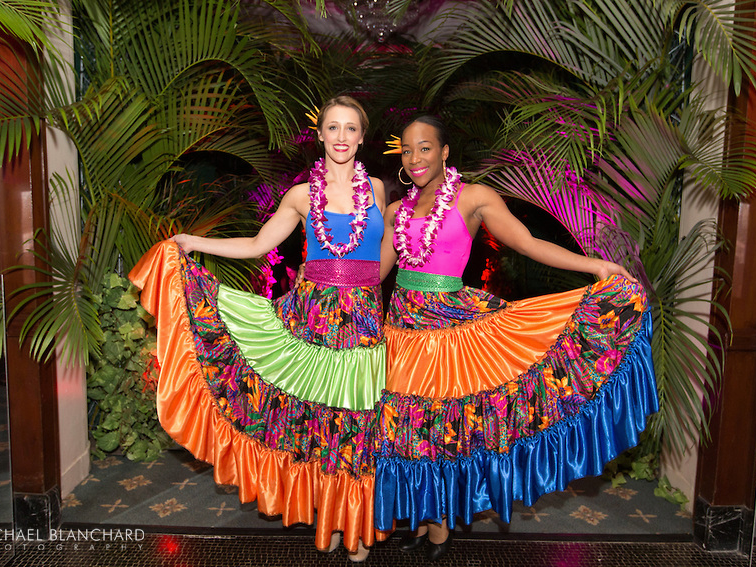 Interactive dancers greeted guests to an event honoring the Breast Cancer Research Foundation's leading scientists and donors. The performers directed them through the stages of the event, and performed atmospheric choreography throughout the luncheon. 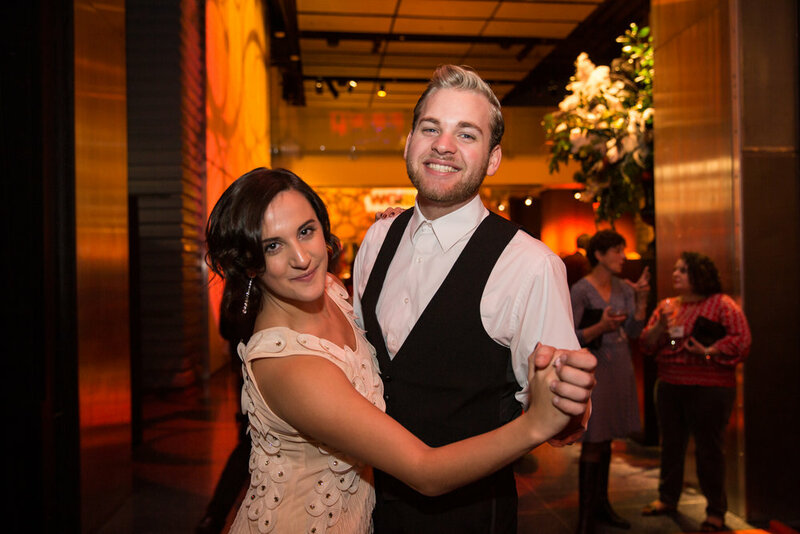 To honor Leonard Bernstein's life, we collaborated with the BSO for their Opening Night Gala. 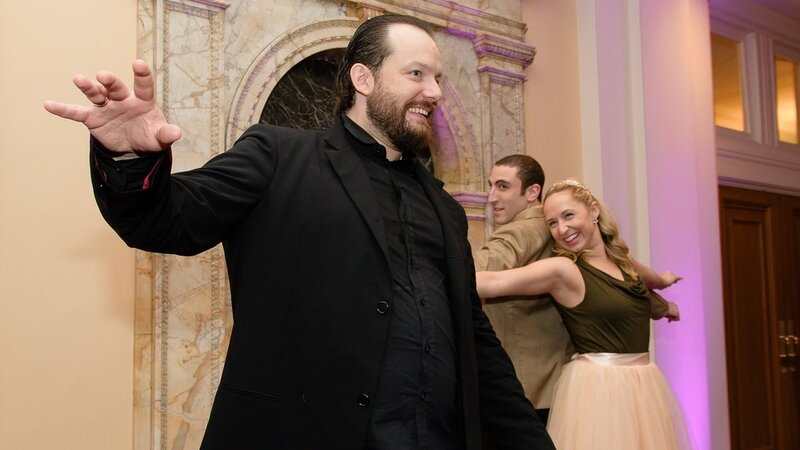 Our interactive dancers and actors greeted guests upon arrival, directed them through stages of the event, and performed atmospheric choreography throughout the evening. 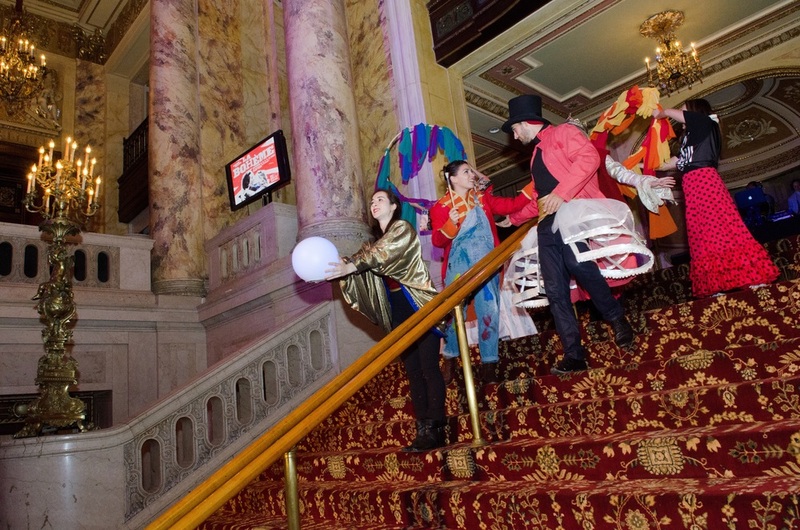 Interactive dancers, actors, and circus personalities greeted guests upon arrival for an over-the-top cirque entrance. We then performed an original choreographed dance, acrobatic hoop act, and aerial silks act. 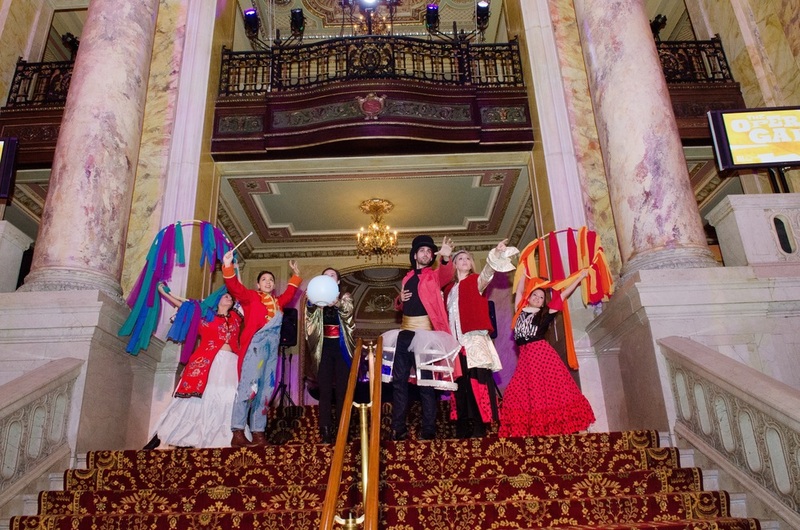 Actors greeted over 300 guests into the Wild West World before they enjoyed an original choreographed series of performances of Can-Can dancing, Rodeo dancing, live singing, and juggling during dinner. 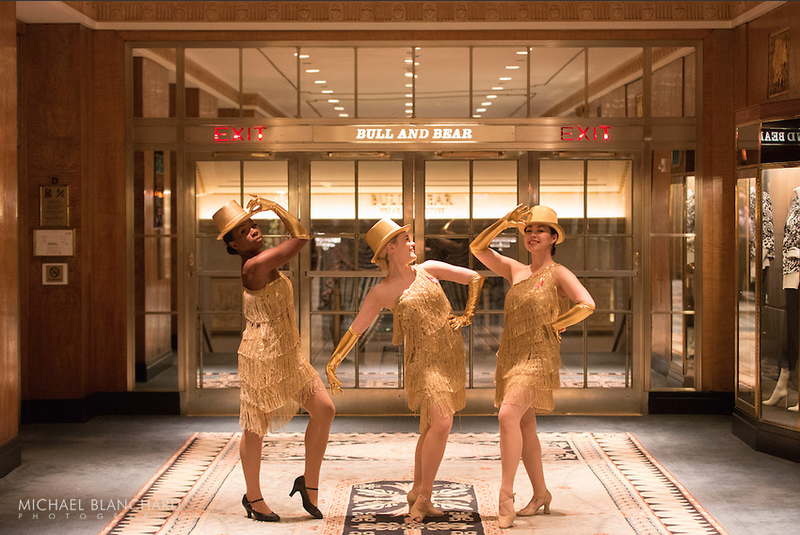 Interactive greeters introduced guests to the 1920s theme. We provided live music throughout the event and an original choreographed performance was created to honor the bride and groom. Actors greeted over 500 guests and escorted them throughout the event, encouraging raffle and donation participation. An original choreographed performance set to "You're the Top" honored Leonard Lauder. Actors greeted over 500 guests and escorted them throughout the event, encouraging raffle and donation participation. An original performance was created in collaboration with Grooversity South American Drummers and an original tap performance introduced Elton John to the stage. 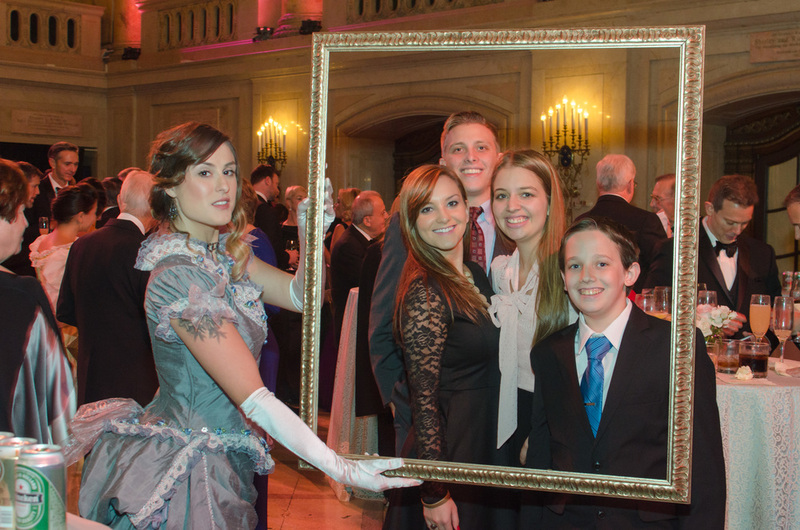 Interactive actors greeted guests, escorted Downton Abbey talent during special programming. 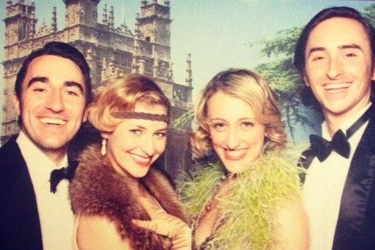 We then performed an original piece set to the show's soundtrack and performers mingled, danced, and operated the photo booth. 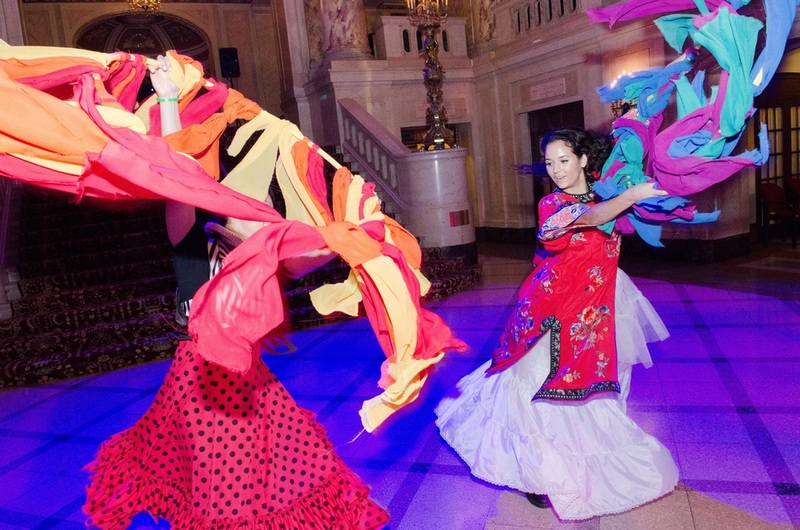 We collaborated with the Boston Lyric Opera for a full event design in the theme of their opening season. This included guest interaction, original choreographed performances utilizing dancers, aerialists, and contortionists, a roaming magician, and music design. Actors portrayed famous Red Sox players while interacting with guests and leading tours around Fenway Park. A vocalist kicked off the party and a swing band performed at dinner. 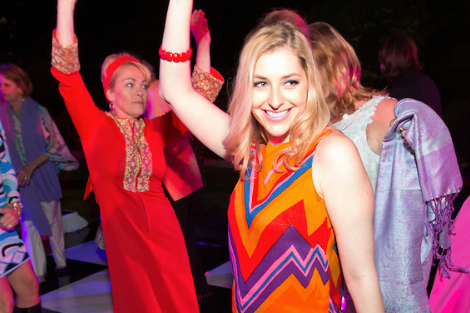 Interactive actors welcomed guests into the 1964 theme and danced with guests during the party. An original choreographed performance was set to "Little Less Conversation, A Little More Action". We provided live music performances with a vocalist, DJ, and pianist as well as audience interaction throughout the party, an original choreographed performance, and full decor design. 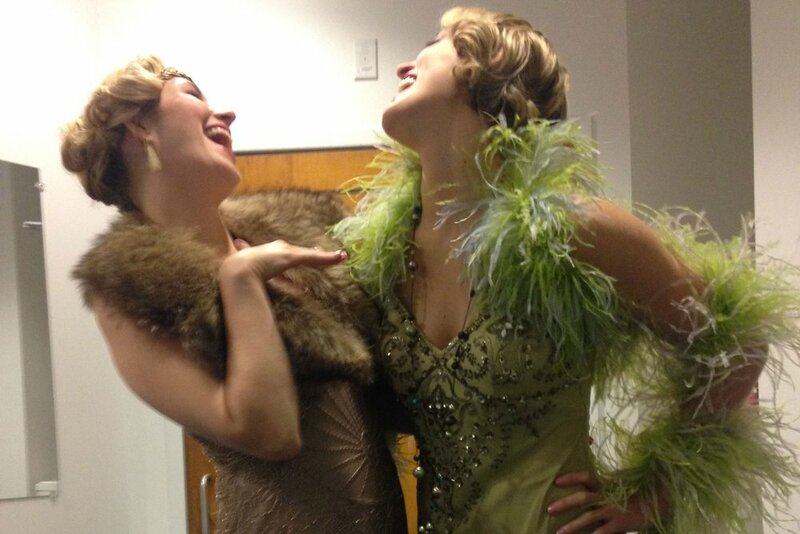 Actors portrayed Old Hollywood icons while interacting with guests and emcee-ing the evening. Live cabaret singers performed holiday classics and three original choreographed performances were created for the dinner hour. An original atmospheric dance installation was created in honor of "dark hour/Earth hour". 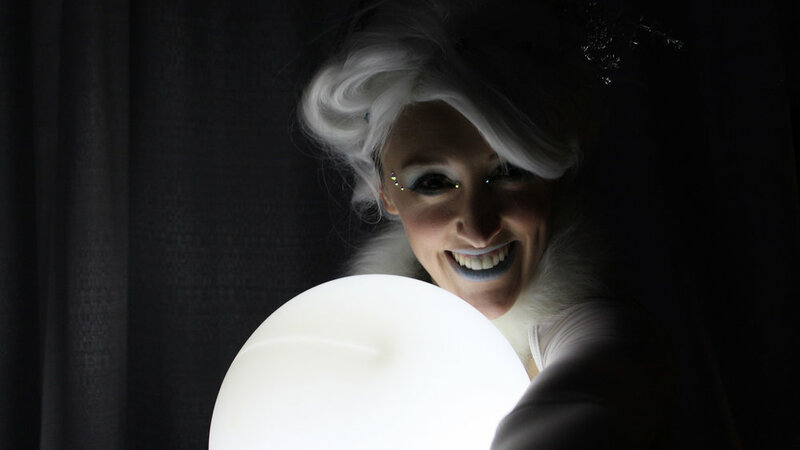 To complete the performance, we provided glow in the dark props and costume design. We provided two circus artists for a store on Newbury Street to attract more shoppers at Boston's Open Newbury event. The juggler and hooper performed for and interacted with people passing by.